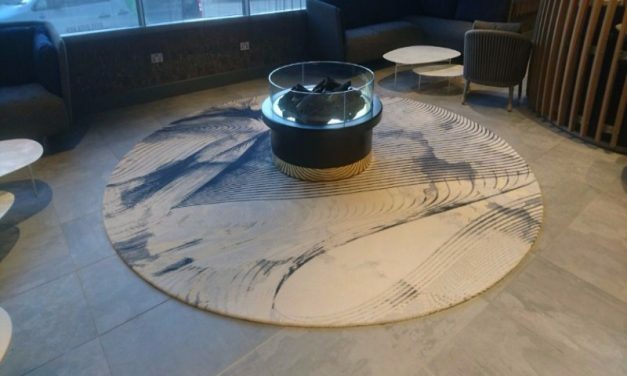 Check out these interesting Chromojet rugs and broadloom, custom made for a Hotel at Heathrow Airport. Manufactured in 80% wool 20% nylon in three colourways with a randomised pattern, the rugs were all cut from the same roll reducing production time and making them cost effective. As avid Huddersfield Town supporters we celebrated in style when they were promoted at the end of May by delving into the Firth Carpets archives to find this edition of ‘Tuned In’, circa Summer 1994. Huddersfield Town’s stadium had just been built, and Firth Carpets had the honour of supplying the carpets in their new ‘Kirklees Stadium’. 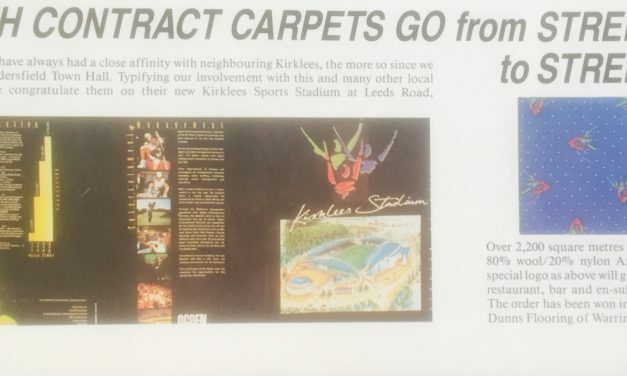 There was confusion at the time, however, as Firth Carpets did not understand why a football stadium wanted a custom designed and manufactured carpet featuring a fish design, which can be seen in the enlarged image below. We put our queries to one side however and produced this beautiful heavy contract 80%wool/20%nylon Axminster carpet for the reception, restaurant, bar and en-suite function areas. It turns out that it is not a fish design as everyone thought, but three people with their hands in the air cheering along Huddersfield Town or celebrating a win for the home team! We have supported Huddersfield Town FC for many years, and wish them all the very best for their upcoming season in the Premiership! 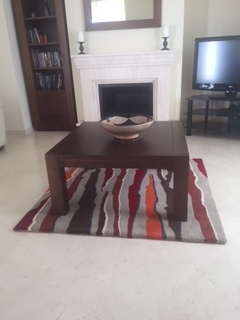 We have recently had the pleasure of creating this stunning rug, made to the clients individual needs. You can see from the pictures the processes involved with making this unique, contemporary flooring, including the most important stage – baby inspection! We like to start them young at Firth Carpets!